The children Entertainer Jeca the clown was delighted to be the main children Entertainer at the Charleville Castle (Tullamore) for the L.A.B.A.S. Spring Season Festival event that included all day live music, Irish bagpiper, Lithuanian and Latvian folklore dancers, contemporary dancing show, historic partisan performance, accordion music. Entertainment for the kids included laser tag game, clown ( Jeca the clown ), and bouncing castle! They offered free tea and coffee to keep everyone all warm while browsing traditional craft fair. Also, Charity Raffle that I was invited to be part and clowning around with my trying to speak the beautiful Lithuanian language. Thx again for invite the children entertainer Jeca the clown and introduce to me and all guesses the amazing and rich Lithuanian’ culture, hope see you all again soon. The Grain & Grill Bar & Restaurant at the Maldron Hotel Portlaoise launch on the 2nd of July 2017 and the children Entertainer Jeca the clown and his team (https://www.facebook.com/gilgalevents) were there spreading fun to all. It was great to meet the Midlands 103 team and local entrepreneurs. Thanks a lot for inviting Jeca the clown and Gilgal entertainer for a such special day and we wish all the best with the Grain and grill. The Portarlington French Festival 2017 is a family weekend-long event that took place around Bastille Day, with a wide range of entertainment to suit all. Of course the Children’s Entertainer Jeca the Clown couldn’t be out of this great celebration, bringing a lot of fun to all. This time Jeca the clown broth his entertainer team (the Gilgal Entertainment) too, balloon modelling and face painting. It is amazing what a small town can do together when everyone decides joining forces towards an amazing festival every year, congratulations you all from the Festival Francais de Portarlington. The amazing children entertainer Jeca the Clown marked his presence at the Easter Holiday Event which took place at Laois Shopping Centre last April. Together with ‘Gilgal Entertainment’, ‘Jeca the Clown’ and his team provided loads of fun for Kids and Adults making sure that everyone passing by had at least a great smile on their faces. There were Face Painting, Balloon Modeling, Easter Arts and Craft, Funny Jokes and Lots of fun games. It was great to see kids all around the laois shopping centre with Easter bunny ears, Easter face painting and most import,It was great to see kids enjoying themselves along with their parents and you could easily tell that everyone had a fantastic time together. I’d like to take this opportunity and thanks Mr.Damien Mc Stay for the great photos taken and shared with us, it is always great to have beautiful and professional memories. Next Easter celebration if you need a professional entertainment give us a call. Anybody can hit the street and put on a show, but if you put on a great show you could join the ranks of famous performers–Jimmy Buffett, Bob Hope, and the founders of “Cirque du Soleil”, just to name a few–who started out busking. Whether you’re a musician, magician, mime, juggler, clown, or comedian, if you can entertain people, you can call yourself a street performance.As children entertainer jeca the clown and long time on the road of street performance I must to saw that I saw already the best and worst in some of the countries I have been. Rio de Janeiro or simply ‘Rio’ is the capital of the Brazilian State of Rio de Janeiro and the third largest metropolis in the country with a population of 6.3 million people. Part of the city was recognized as a world heritage site in 2012. Read the facts below to find out where and why. 1. Rio de Janeiro is behind Sao Paulo and Brasilia in population but is only behind Brasilia in GDP at US$201 billion. 2. The name ‘Rio de Janeiro’ is Portuguese for ‘River of January’ and was given to the city by the captaincy of the Portuguese Empire in 1565, the date the city was established. 3. Christ the Redeemer landmark on the top of Corcovada Mountain is one of the most recognized features of Rio and has on several occasions been named one of the Seven Wonders of the World. 4. This I didn’t know…Rio has a nickname…Cidade Maravilhosa or ‘the marvelous city’. 5. Brazil’s most famous dance – samba – has its origins from the African slaves that worked in the plantations in the State of Rio de Janeiro. 6. With over 50 kilometers of white and golden sand beaches, Rio is Brazil’s tourism capital. 7. Brazilians are apt to say that if you have not visited Rio’s Christ the Redeemer statue, Sugarloaf Mountain, Ipanema Beach, Copacabana Beach, Sambodromo, Maracana Stadium, and Tijuca National Park; then you have never been to Brazil. 8. Flamengo football club that is from Rio has the largest number of fans in Brazil (and the world) and is considered the team of “the people.” No matter who’s team you favor, everyone seems to respect (or fear) the Flamengo crowd. 9. Do you know Rio’s most popular natives? Well, here is a list; Ronaldo (soccer player), The Gracie Martial Arts Family, Anderson Silva (MMA Fighter), Tom Jobin (Musician/”The Girl from Ipanema”), Vinicius de Moraes (Musician/”The Girl from Ipanema”), and Oscar Niemeyer (architect)…the list can be longer…you just have to type it yourself. 10. There are more than 200 samba schools in Rio. The city gets more than 3 million international tourists every year. I hope those facts and information helped you to know more about the Street performance jeca the clown and hope see you in you great event, street marketing, corporation event or any kind of celebration that you need a professional entertainer. One of the things people love to do when they meet the children entertainers Jeca The Clown is take a photo with him and then share all around their own social media platform creating a great publicity to the local event I’m doing on that particular moment. The most popular social media I find my pictures on are: Snapchat,Instagram,Twitter and Facebook…I even found my pictures with very interesting hashtags for example:#funny fella #bae #crack# jeca the clown #my BFF #having fun with this lad!! I don’t really understand the new generations language, but just from seeing the pictures of the kids entertainer Jeca The Clown and others and there smiling faces I can already know that those words mean well. 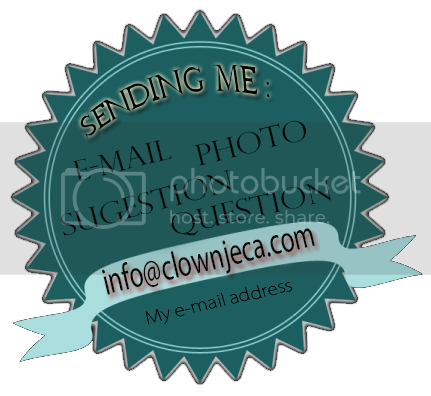 So, if you have any pictures of yourself with Jeca The Clown please share and don’t forget to tag me!! The St Patrick’s Day parade in Portlaoise 2017 was another great experience for the best children entertainer in Ireland, we are talking about it of the children entertainer Jeca the clown. Jeca the clown was clowning around since the end of the very successful 5k race for 2017, he felt the sensation of running the last 400m and loved the support from the runners and audience, I even got my a beautiful medal. Portlaoise athletic club medal @ Portlaoise St. Patrick’ day 2017. There will be big changes to this year’s 2017 Portlaoise La Feile Padraig or St Patrick’s Day parade in Portlaoise The parade will start 12.30pm and beginning at County Hall , follow a much shorter route, heading down towards Supermacs and going around the roundabout to come back up to Market Square and then down Main Street. It is hoped that the changes will draw the crowds to the town for the annual event, and help bring the community together. Once again Jeca the clown was a great success at the time of the Portlaoise St. Patrick’s Parade 2017. As always in an innovative way the Jeca the clown took several smiles with his presentation and acting.The acceptance was so great that next week the picture of the clown jeca was on the front page of the leinster express newspaper. I’d like to take the opportunity to thank everyone involved on the Patrick’s Day Parade Portlaoise committee and the great work they have been doing for all those years and I want to thank you all very much for the support giving to the children entertainer Jeca the clown. 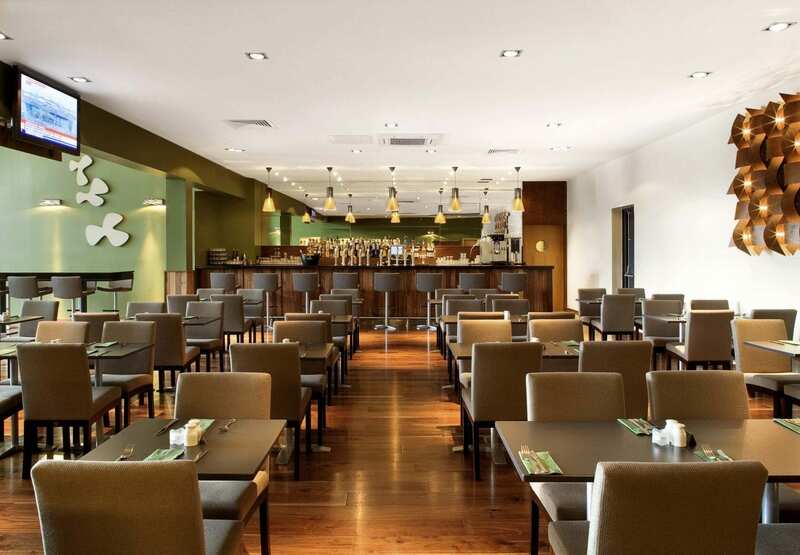 Are you considering the Kilkenny River Court Hotel as your wedding venue? Do you have kids as guesses or little family members invited? If yes, for sure you will need the help of the best children entertainer in Ireland the children’s entertainer Jeca the clown. Jeca the clown the clown has years of experience working with kids of many events, children’s parties and weddings around Ireland and some countries of the world. The children Entertainer Jeca the clown after a Wedding entertaining. Would you like an unforgettable party? I can give it to you! Who am I? The Fantastic entertainer Clown Jeca Brazil! What can I do? Anything I can to make you laugh! Enjoy yourselves and have a great time. Comedy shows, Magic tricks, a lot of Exciting & challenging games for all ages, story-telling, singing, interactive activates, juggling and more! I throw my whole heart into making sure that everyone has a fun (and funny) time. The children entertainer clown jeca has been awarded the Best Street Entertainer of 2009 and 2011 by the Portlaoise Parade Committee. Do you need someone to entertain the kids so you can attend to your Adult Guests and enjoy your special day without stress? Don’t forget The children entertainer Jeca the clown is the best clown for it!